Reconstruction of any part of the house is a difficult task. Not that you have to yourself go there and fix things, but the sheer amount of planning required to accomplish the task with satisfactory results – is quite tiresome. Some might say – just outsource everything to the contractor, pay the bills and you’re good to go. The problem here is – what if you have a tight budget? What if you have very specific needs that a template using contractor may not be able to adhere to? In that case, you might have to take the matters in your hands. As cumbersome as it may seem, it can actually be a blessing in disguise. For most of the parts of your house, like the formal reception or the dining area or the bedroom or even the kitchen, you will find ample of content to help you navigate through the buying process. This is because the brands in these spaces have published several guides that help you understand how to go around buying the best products that fit into your requirements and still look aesthetic. When it comes to bathrooms, especially sanitary ware, it becomes a little difficult. First and foremost, everyone has a different bathroom design, function and utility. As obnoxious as it may sound, it is actually true – some people will use it to relax after a tiring day, some people need a little music in there and some people just want the bathroom to function properly to have maximum utility. 1. Know what you are looking for. This may sound a bit too simpleton for some people, but it is remarkable to see how many people just walk into stores and want to go through a ton of options and then decide what they are looking for. The problem with this decide as you discover method is that it may cause option paralysis, where you are bombarded with so many options and combinations that you may fail to analyse the utility of each one of them. Hence, have a very clear picture of what you are expecting from your bathroom. To conduct a primary research in the area, you can search for sanitary ware product price online and see what are the types of products available out there. Then, make a shortlist and then visit the store to actually experience the products. 2. Always look for options. Sensing some paradox? There is none. In the former advice, you saw that options can cause perplexity in making decisions; that only happens when you are making your decision criteria right while navigating through the options. If you already have an idea of what you are looking for in terms of price, design and utility, you can easily eliminate options and find what works for you. Now, options should not be in terms of the products but also in terms of the after sales services and price range. 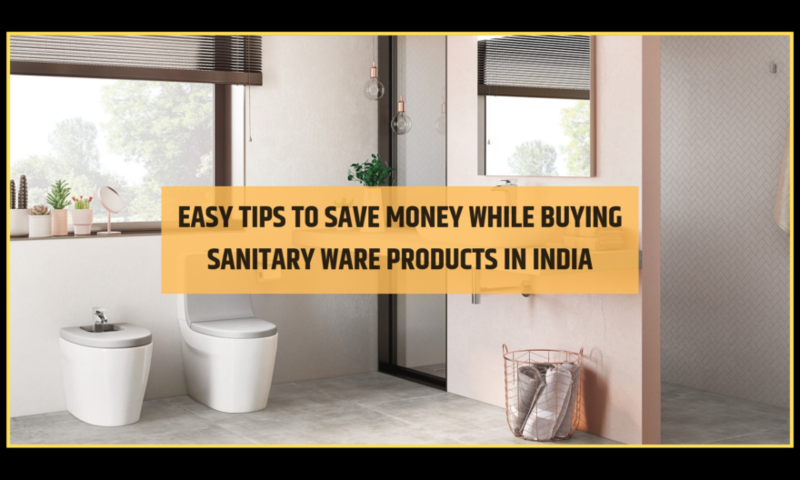 The sanitary ware market in India is huge. There are offline sellers, online sellers, resellers, traders and even brand outlets. Hence, consider and weight all your options before cutting that cheque out. 3. Brands are good but warranties are better. By going through those glamorous marketing messages, you will get attracted to certain brands. Nothing wrong with that since that is what they are designed for; but, brands can only give you some satisfaction. Ultimately, you will use the product and not the brand. Hence, what is more important than the brand itself is the range of after sales services and warranties available. Try to buy sanitary ware products online and go through their warranties. Then, visit the stores and see if the same warranties are available. Choose the avenue which serves you best and not the brand. Vikram Patel is a Founder and CEO of eConstructionMart. He is also an ecommerce follower has over 16 years of experience in construction, banking and oil & gas sectors. He worked at ICICI Bank, Reliance Industries before founding eConstructionMart. As a marketing & sales professional he held responsibilities in managing key accounts, building teams, driving sales and customer service through quality management.